My hijab is as cheerful as the race day vibes. It feels good to be back! 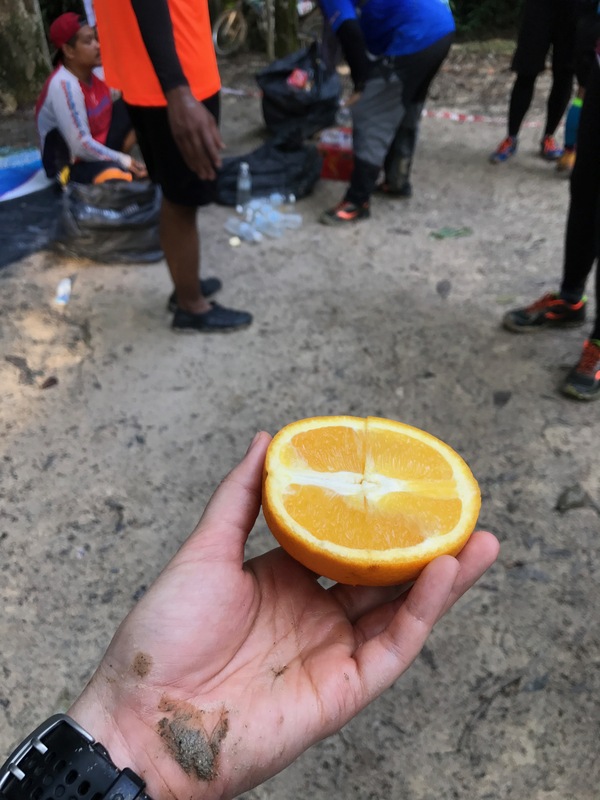 Due to the small number of participants, it is easier for organizers to manage the welfare of participants, which means there is always an abundance of food! 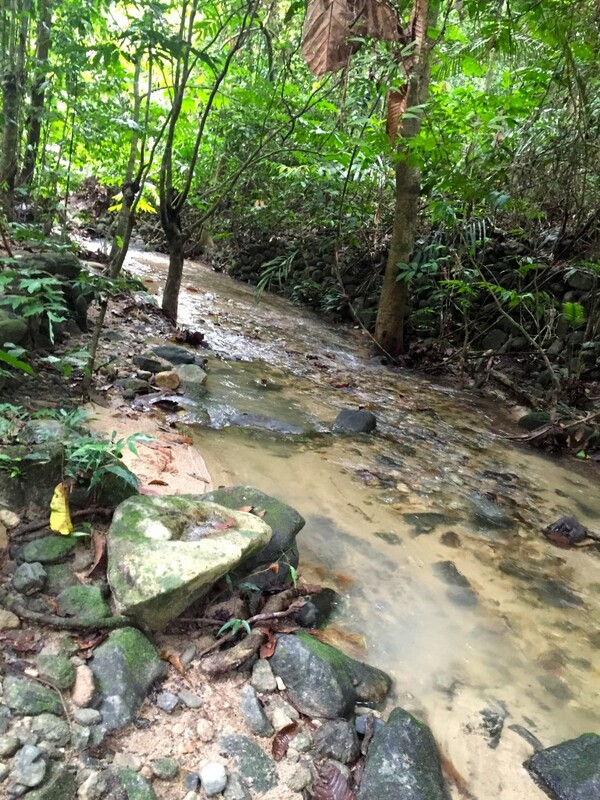 There are various terrains that you can expect, such as muddy, sandy, or rocky. It takes time to get used to balancing and running on uneven surfaces. It is more humid in the forest. This will also attract bugs such as mosquitoes and leaches. Cuts and bruises are all part of the trail run package. Just think of them as souvenirs and battle scars from the event, embrace them and be proud of them! Take notice of the interesting leaves, foliage, and bugs surrounding you. Everything is beautiful in their own way! Sometimes you just have to accept whatever Mother Nature throws at you. 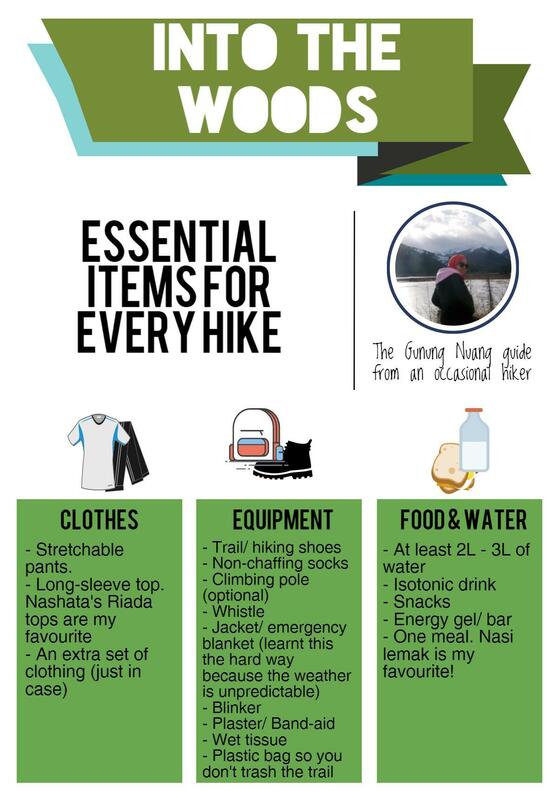 The weather can be unpredictable – it’s better to be over-prepared with the right equipment. Most organizers are now implementing BYOB – Bring Your Own Bottle. Trails are cleaner thanks to this new rule, and I fully support this move. 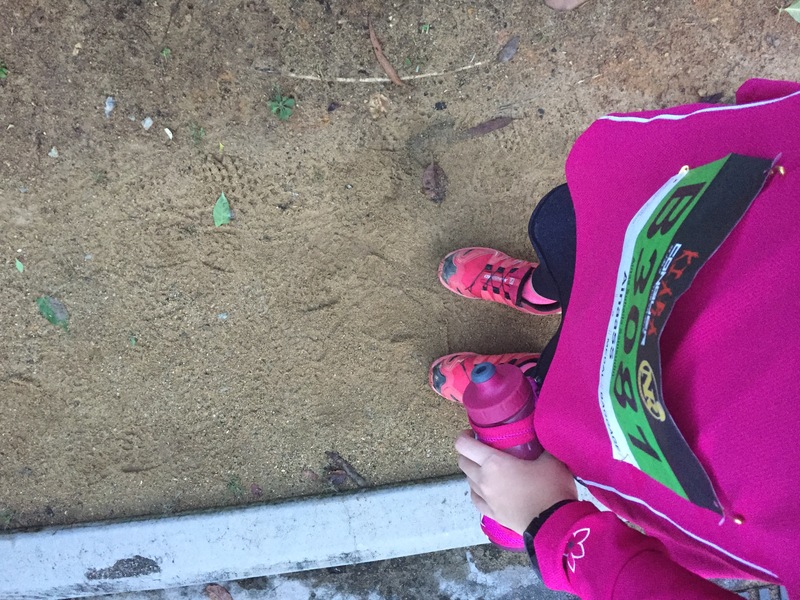 Running 21km on the road is not the same as 21km in the trails. 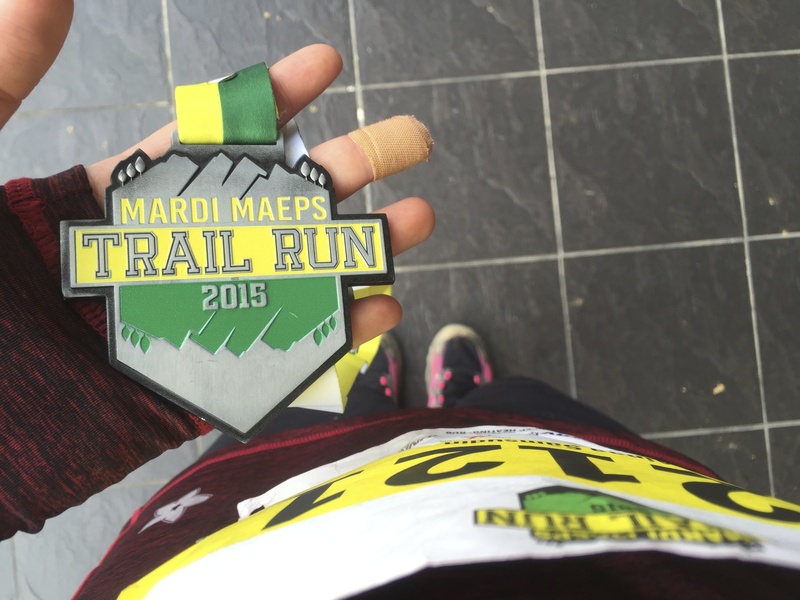 Therefore, trail running requires a different training strategy than road races. Elevation is always a part of trail running. Get used to running uphill, climbing the stairs, and strengthening your quads and glutes. A few weeks ago, we were fortunate to have Jason Robinson during our regular Tuesday night runs with Kyserun Krew. Jason Robinson from Mont Kiara Running Club (MKRC) is a well-known ultra running figure in the local community who won 1st place in TMMT 2016 100km and 4th place in TMBT 2016 100km. 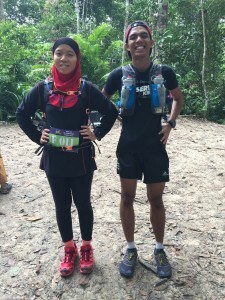 He shared his experience and a few training tips, stating that his regular training grounds are Kiara Park Trail and occasionally Gunung Nuang. 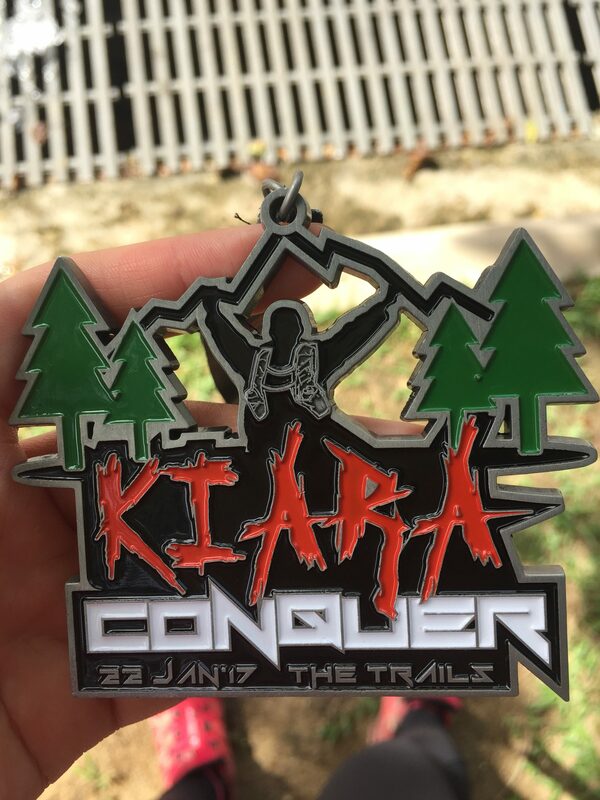 Last Sunday, just like most running Sundays, I was excited to participate in an event called Conquer the Trails @ Kiara Trail Run 2017. With Jason Robinson’s tips still fresh in my mind, I was excited to run through the same training grounds as an ultramarathoner! I was unable to verify if this was the same route taken by MKRC, but while running they looked pretty confident and they know where they are going so I guess they are familiar with this route. 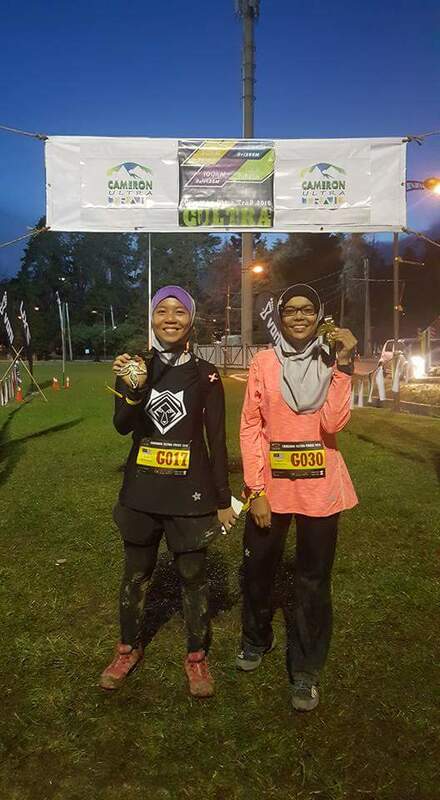 The total elevation gained with the 13km course was around 530 – 550m (depending on your GPS watch), so if you are training for an ultramarathon, repeat the loop several times so get enough mileage and total elevation gained. Never too bright or pink for the trails. A little bit too optimistic for what lies ahead I guess? And as for me, I have only ran on the road portion of this park during my Tuesday night runs or on weekends. The trails, on the other hand, is a total uncharted territory for me. Elevation is no stranger in any trail run, however, this time I allowed it to get the best of me. I had to stop in the middle of my climb to catch my breath – a sign that I need to work on my endurance and stamina again. I admit that since this is the first trail run of the year, I have not set foot in any trails for quite some time. 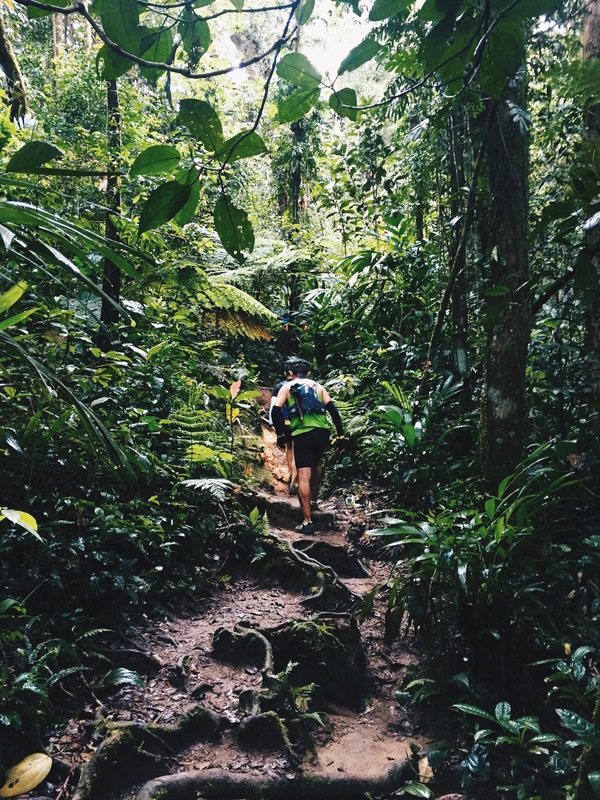 I forgot how it felt to be agile yet nimble while running in the trail – my feet were clumsy and my movements were too calculative. All of these cost precious time, so it took me 3 hours 31 minutes to complete the route, with a sinking feeling that I knew I could do better. Not my best race but I’ll be back! This trail run serves as a hard reminder that I need to train more off-road to build again the skills, stamina, and endurance that was lost during my off-season for the past few months. It looks like I have some serious catching-up to do, so expect more trail runs for the next few months! 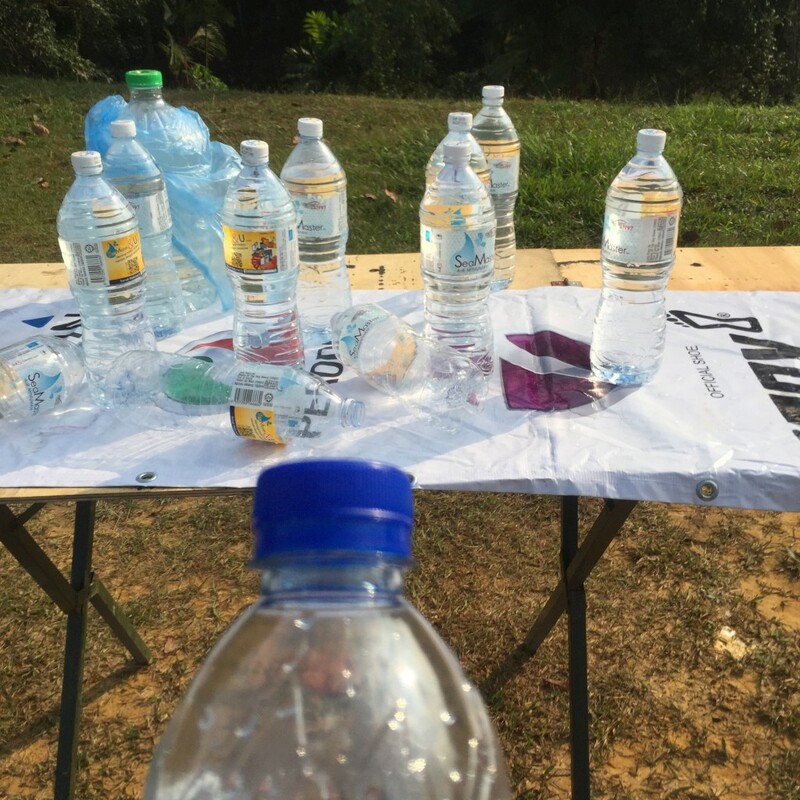 I love this BYOB (Bring Your Own Bottle) concept at any trail run. Look at how clean this water station is! 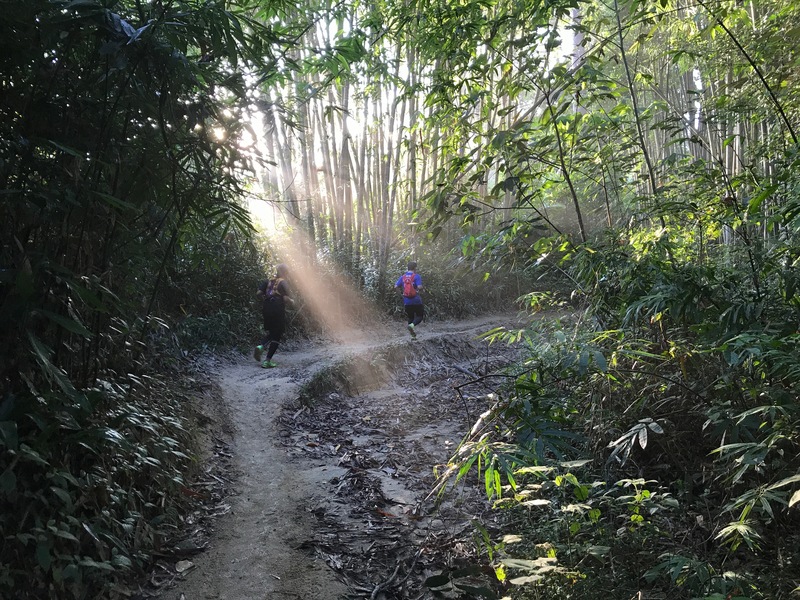 I don’t usually start my blog post with an appreciation speech, but a 50km ultramarathon trail is an important milestone in my running career. 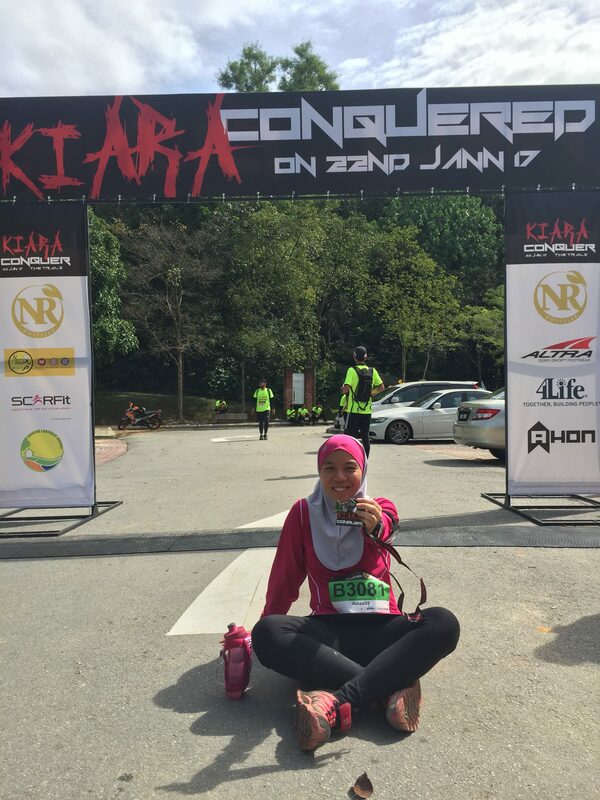 I would not have been able to do it without my family and friends who have always believed in me, Nashata.com for assisting from registration to accommodation and everything in between, my running family Kyserun Krew for their weekly training, LSDs, trail running, and Gunung Nuang hiking, my other running family Naked Spirit Runners for their encouragement, and my Fuelfam Fuel Athletics for making every rep count. I dedicate this medal to all of you. As soon as I watched Cameron Ultra-Trail’s official promotion video, I knew I had to do it. 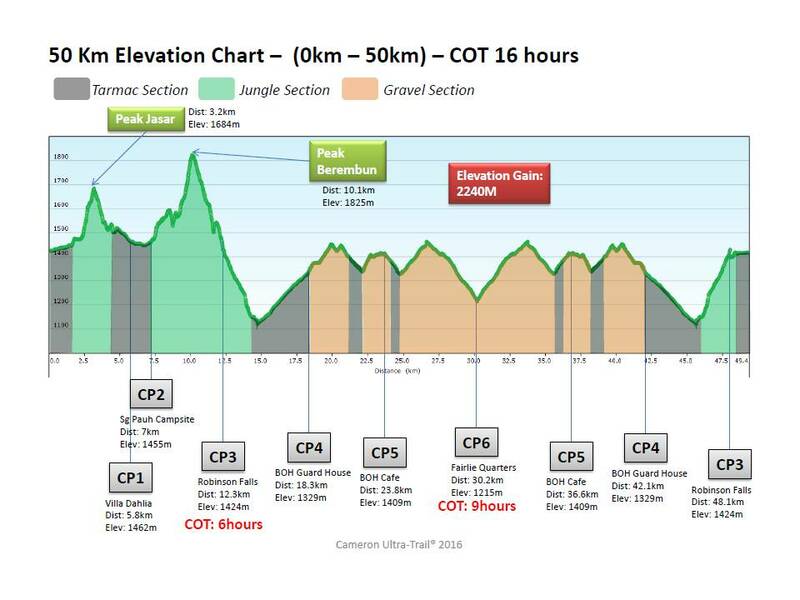 I can feel it in my guts that 50km is the distance that I should sign up, despite the crazy 2240m of elevation and little voices in my head doubting my capabilities. 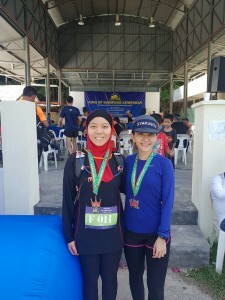 I had 6 months to train, and it has been 8 months since my first 50km ultramarathon (road condition). I did not have much time, and the elevation that I will face in this race is no easy feat. I set to work immediately within the limited time that I had. 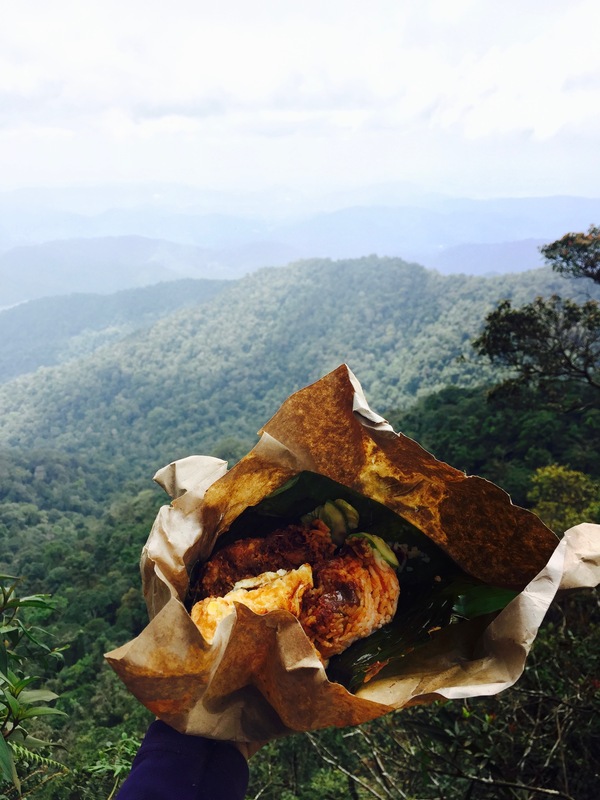 Trail running and strength training became a regular part of my routine, and as the race day approaches I hiked to the peak of Gunung Nuang twice. Never underestimate the importance of studying a route with its checkpoints, especially for a long distance race. Finally, it was Race Day. 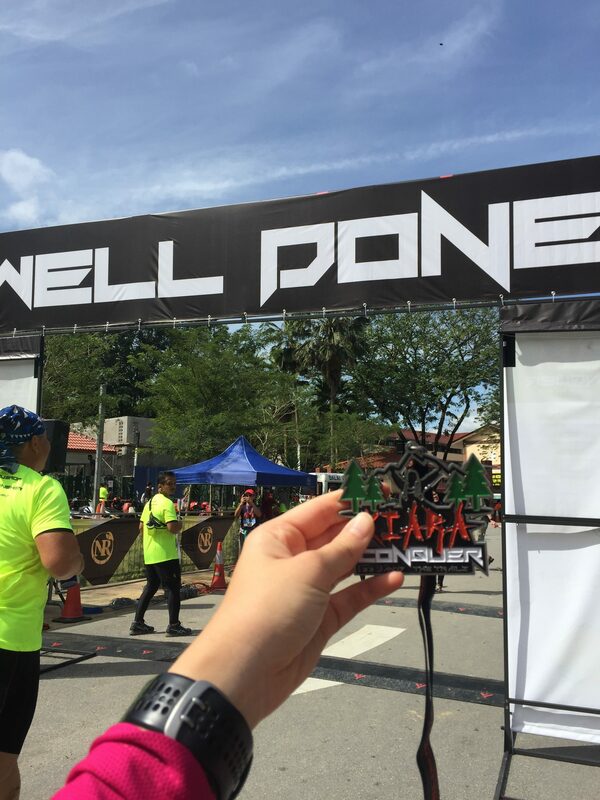 I can tell that the race director and his team have put in a lot of effort while planning the route so runners will get the biggest bang for their buck – after every tough segment of the race, runners will be rewarded with a magnificient view or a very pleasant downhill. Checkpoints were also strategically placed with enough food and drinks. 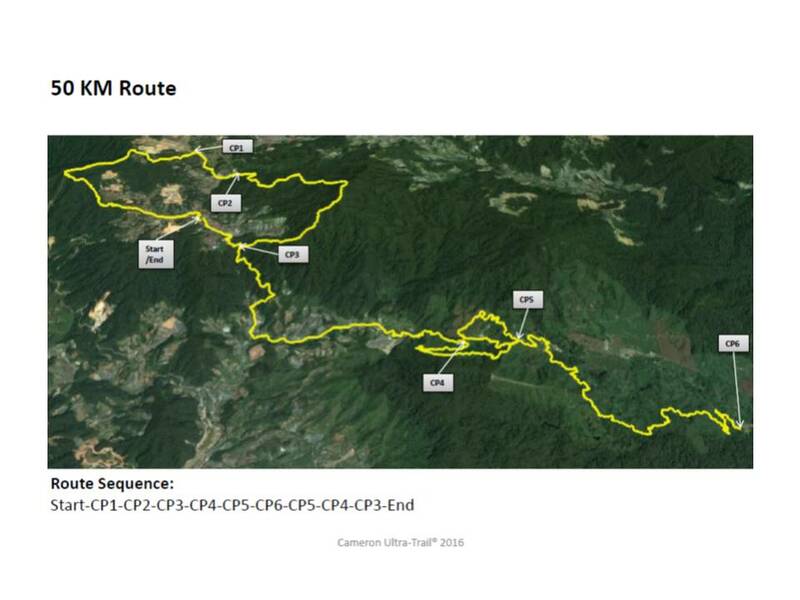 My biggest regret was not utilizing the special bag drop facility (the crew will bring your bag from the starting point to CP4) to stash an extra pair of road running shoes, because CP4 (at 18km to 42km) we will be running around the Boh Tea Plantation on gravel and road. Unfortunately, I packed another pair of trail shoes so they weren’t very helpful to be utilized on road conditions. 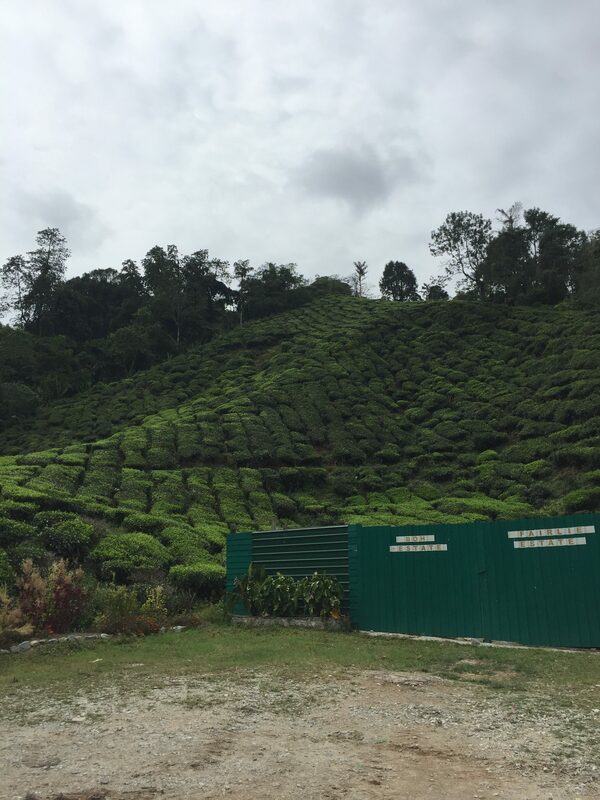 Personally, I found the Boh Tea Plantation was the hardest segment of the race. It wasn’t very hot however because Cameron Highland’s high altitude, I felt as if the sun was shining right above my head. Sipping on isotonic drinks were really helpful to prevent cramps and the dizzy spells. 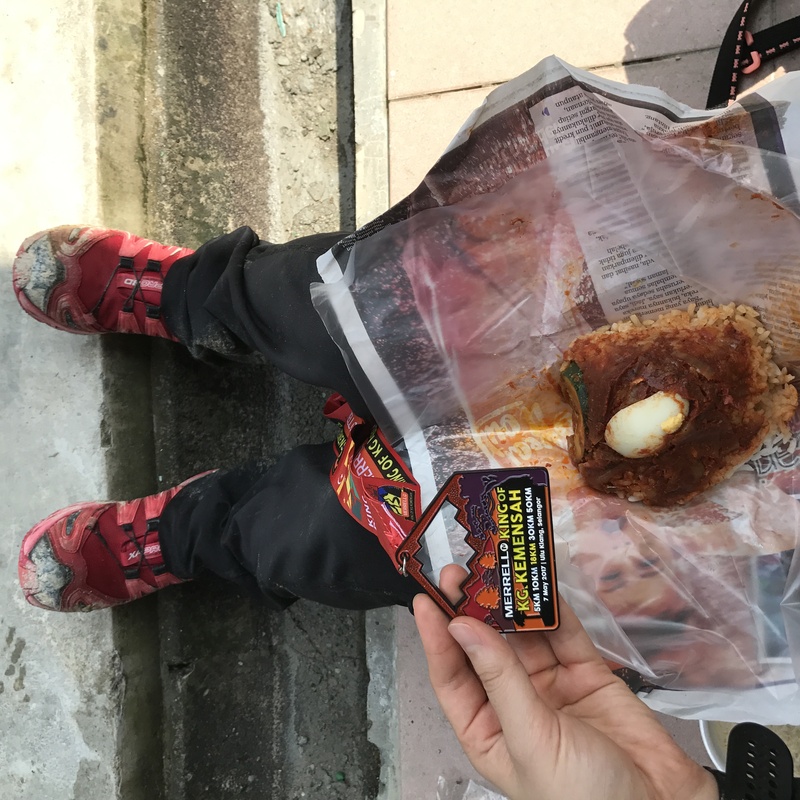 After 34km, reality hit me hard. I could not run anymore despite refueling with solid food. I was mentally exhausted. 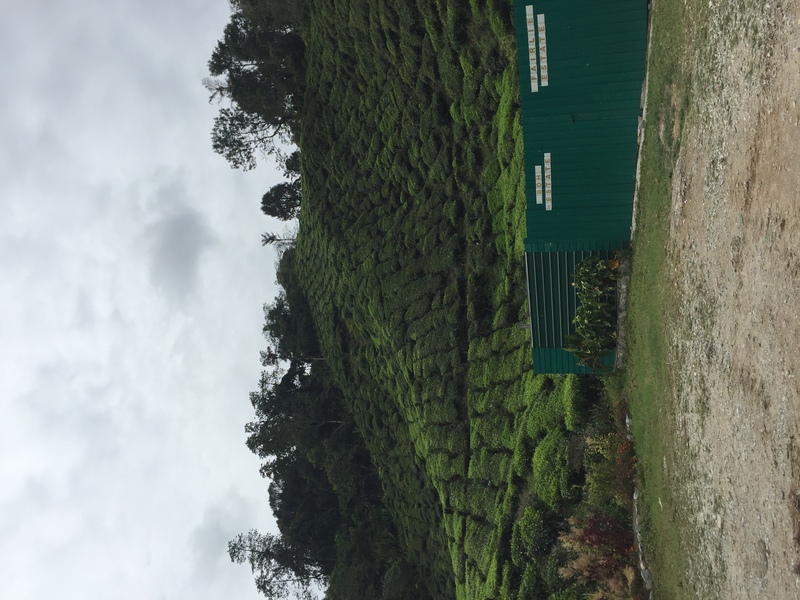 Even the sight of the vast green tea plants and the fragrant smell of freshly plucked leaves were unable to uplift my spirits. 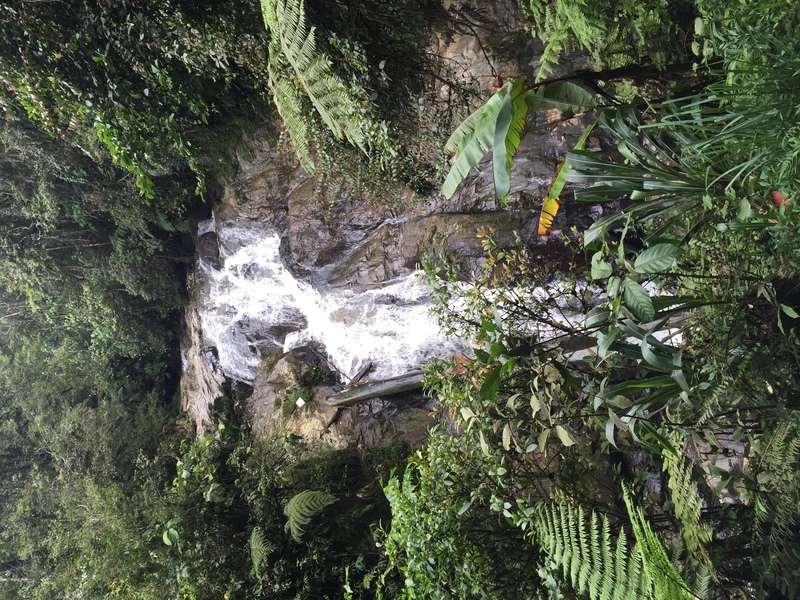 I gathered whatever that is left inside of me and dragged myself to the next checkpoint to head out of the tea plantation. 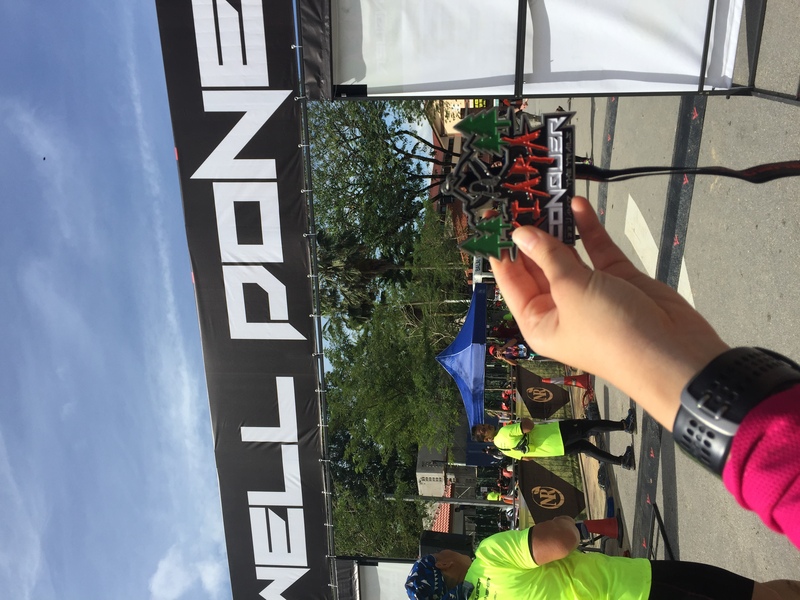 After heading out of the tea plantation, there was only 8km left and that cheered me again because the finishing line feels a lot closer now. 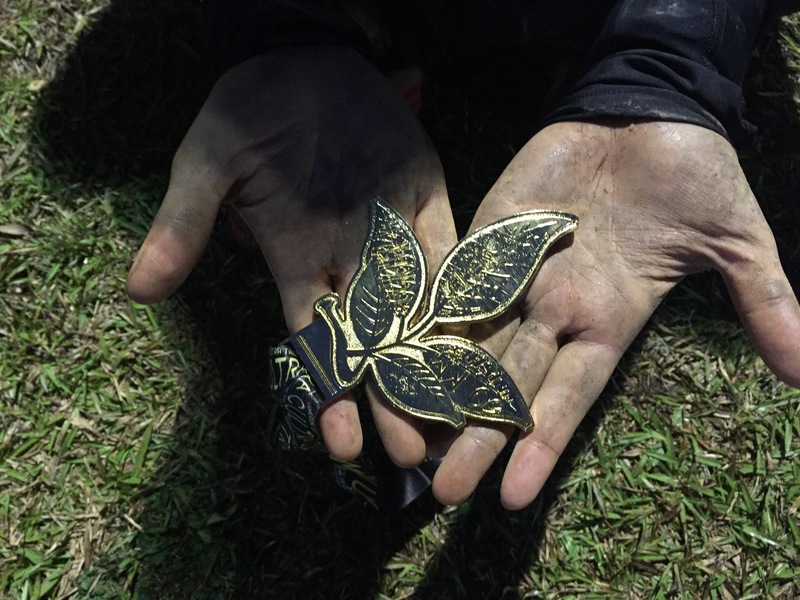 I completed 50km in about 14 hours 18 minutes (unofficial timing) in one piece. 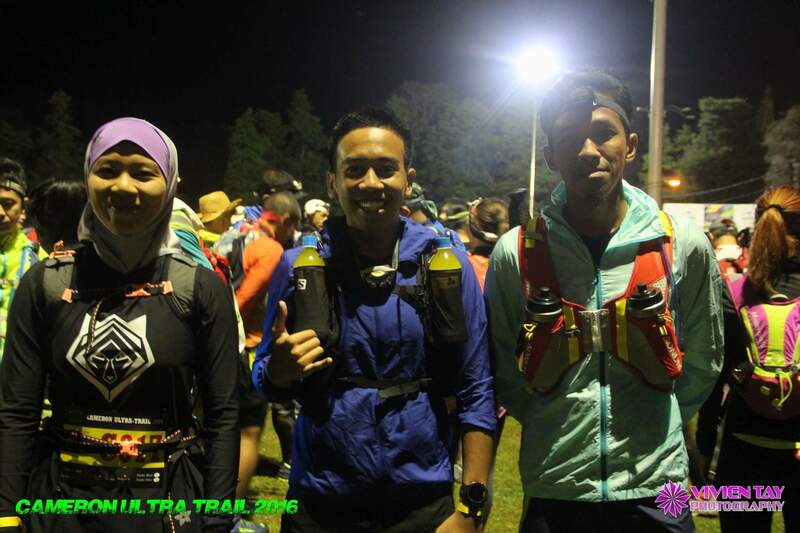 Ultramarathon brings out the best and the worst in everyone. Due to it’s extreme distance and long hours, it digs up emotions that I never knew could exist. Never before I have felt the highest high and the lowest low that I could possibly feel in one day. It also brings out physical pain on muscles that I never knew in my body. Yet, it gave me an indescribable satisfaction that could not be attained through other distances. 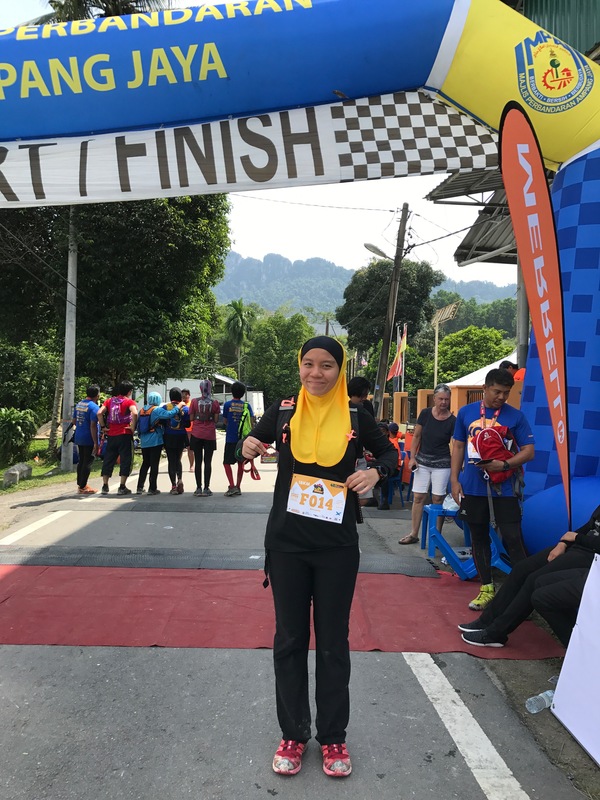 Despite all of the hardship, preparation, and emotional toll, I could not find a single reason to stop participating in another ultramarathon. Eventually, I hope to make 50km a regular distance in my running calendar. Ready to embrace the unknown. I can smell the fresh air! It turns out that the route was not difficult, yet it was challenging. The inclines were steep with elevation gain of more than 300m, and most of the ground was muddy. The forest was dense, but the trail was well-groomed. 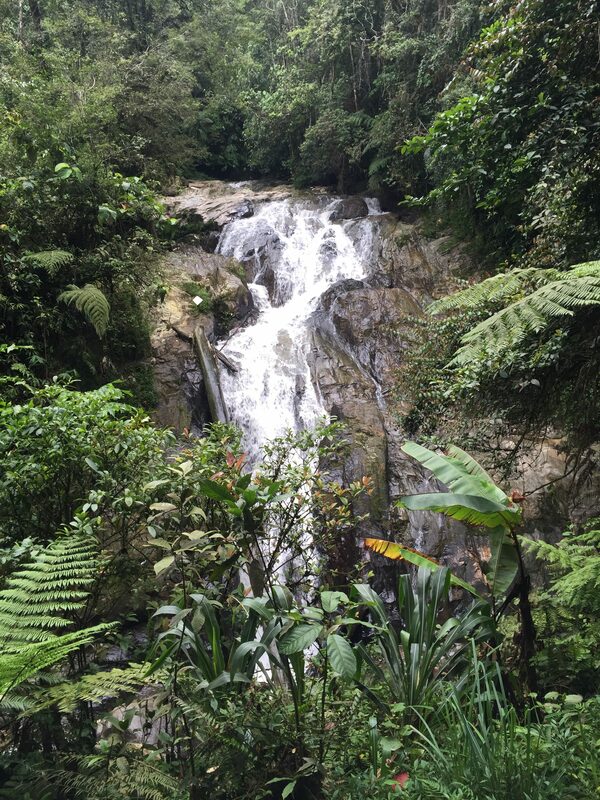 I was glad that I was wearing proper trail running shoes and carrying a hydration bag. As we approached closer to the mid point of the race, I can hear the gushing sound of water. Just as I anticipated, river crossing is a part of the route. 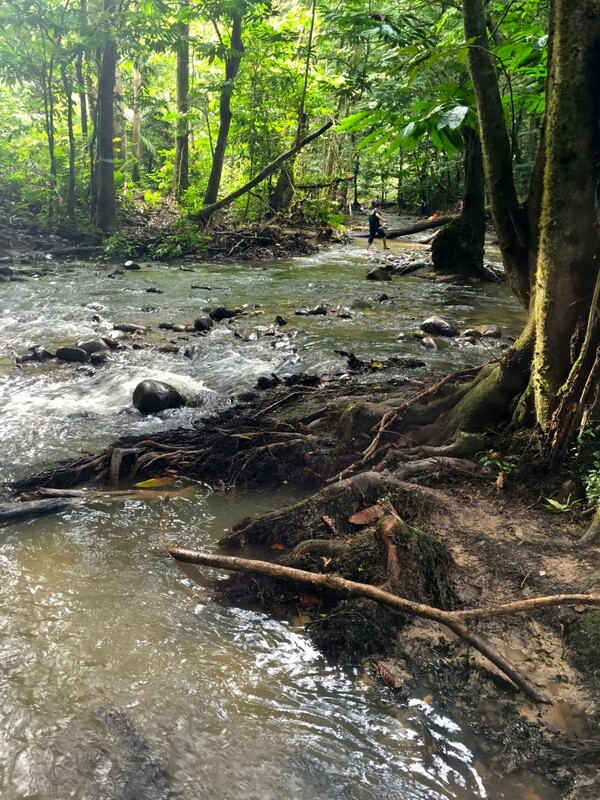 The water went only to my knees, but the rocks at the bed of the river was slippery so I had to slow down and be extra careful not to slip. Since I was running in an unfamiliar route, I did not set any PB (personal best) target to beat as I did not know what to expect. So I took my time, absorbing my surroundings and enjoying the trees, nature, and sounds of insects. I even bumped into a few familiar faces along the way. Some familiar faces in the trail/ultra running community. I wish I had the time to snap some pictures with everyone, it was like a reunion party! 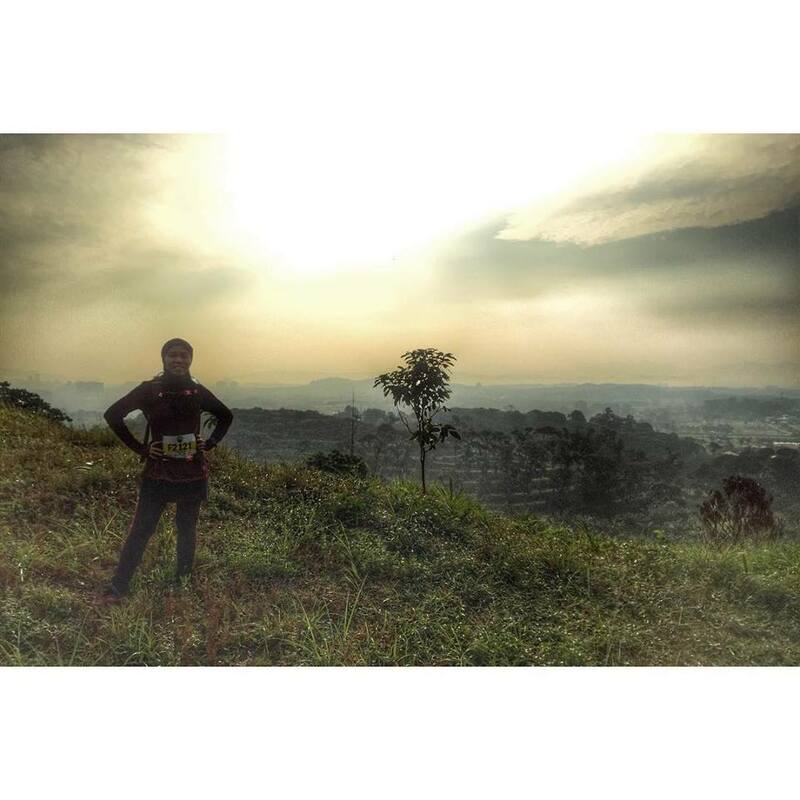 All trail runs are challenging in their own way, and Kemensah is no exception. I had no regrets diving into the unknown, while catching up with some people along the way. I would definitely come back again next year, hopefully for the 50K category. 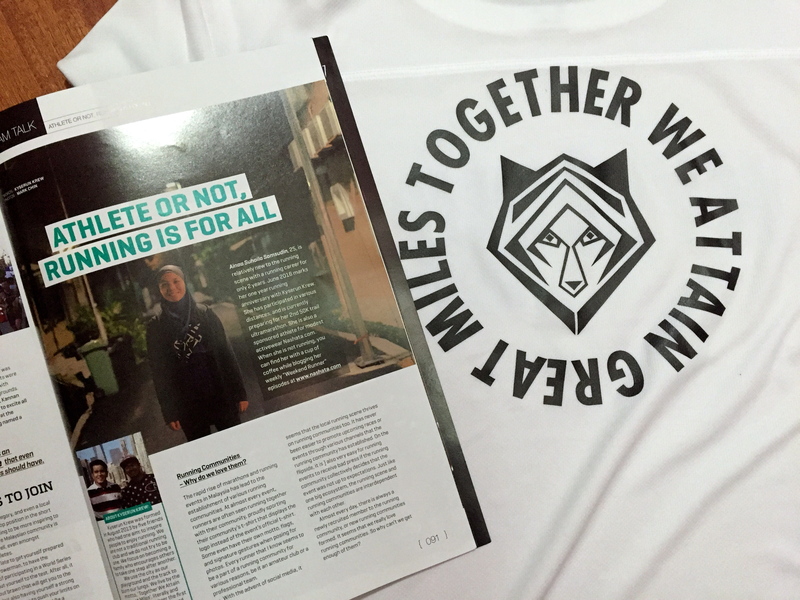 P/S: I thrilled to be given a chance to contribute an article for Running Malaysia magazine about the positive impacts of being a part of a running community. Special thanks to Kyserun Krew for their support, inspiration, and motivation. Do grab the May/June issue at your nearest news stand now! 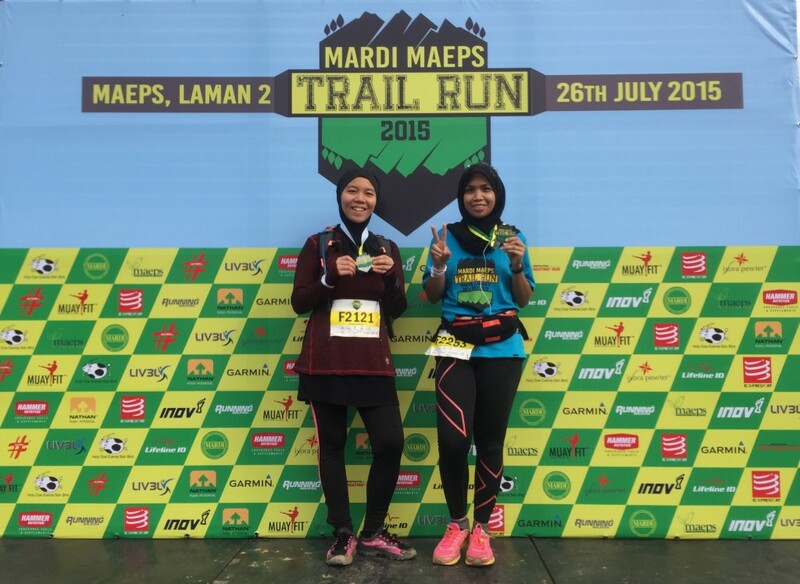 As I treat the minor cuts on my fingers and my sore thighs, I chuckled at myself for being overly confident and optimistic last year during Mardi Maeps Trail Run 2014. I thought “It’s only for 12 km, I can do this in 1 hour 30 minutes”. I was so wrong – It took me close to 2 hour 30 minutes. So I ended up with more than just cuts and sore muscles; I ended up with an ego bruise too. This year, I knew under 2 hours is not a realistic target for me. I never forget how I grinded up the steep stairs and hills, cursed at myself for not training my glutes and quads enough (they took away the stairs route this year, thank God! ), how I wished I brought my own water because I knew nothing about increased humidity in the trails, and most importantly, how I wished I had proper trail running shoes. This was me back in 2014, making my debut trail run at the very same event, with friend I knew when I was studying in Canada. From 2014’s route: Thank God they took this super steep route and killer stairs out of the route for this year. 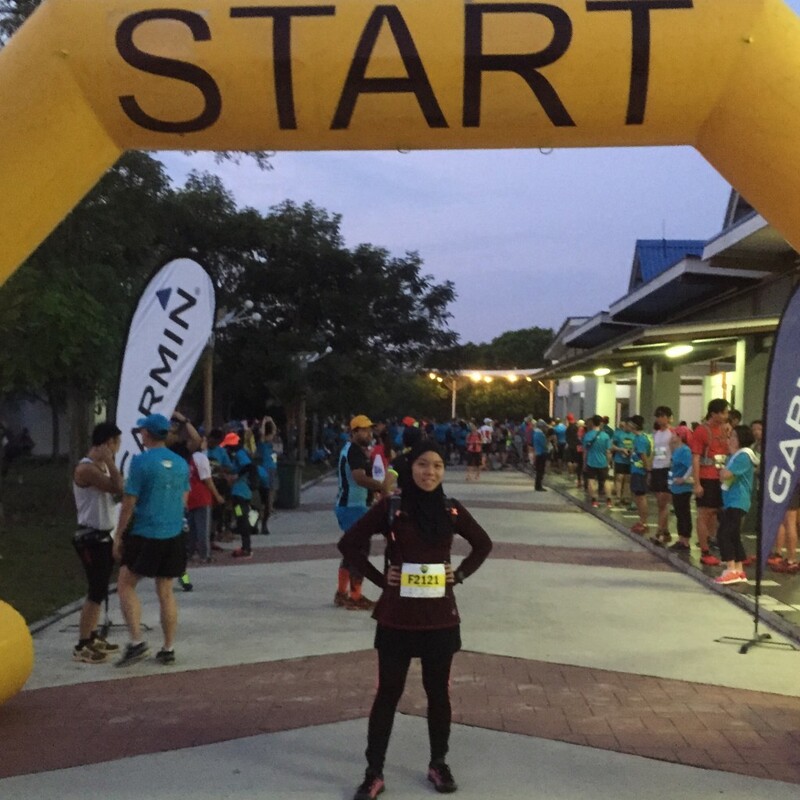 This year I was back, mentally prepared and armed with the correct equipment (but still physically under prepared due to consuming too much Eid goodies), ready to take on the same trails again. They retained about 80% of their 12km route, so I could recall with some sense of familiarity and nostalgia as I ran. As we proceeded deeper into the trails I could hear the birds and crickets, amazed at the vast expanse of green despite still being in the city. I even spotted a snake! Trail shoes? Checked. Bladder pack? Checked. Nashata’s Ultra Top? Checked. Taking in the fresh air after conquering one of the many elevations and uphill climbs. The view was rewarding! It was raining the night before. 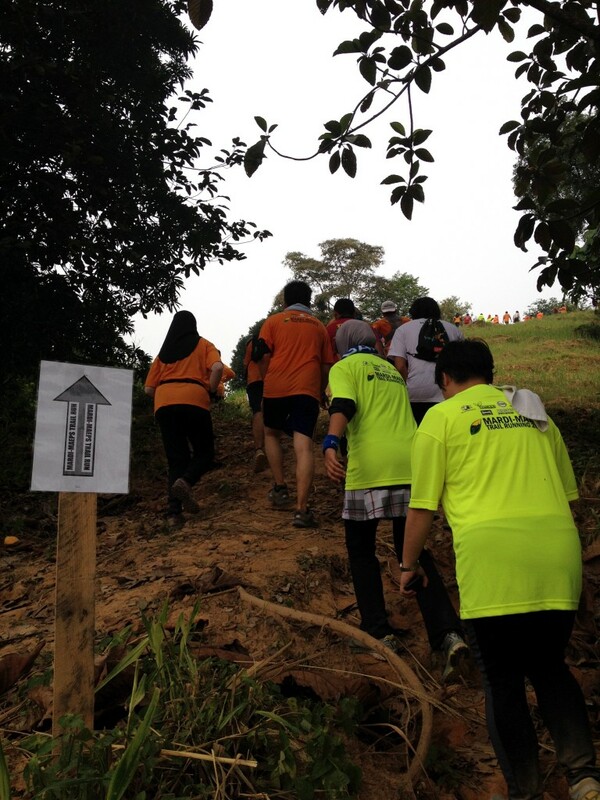 So we have been warned by the organizers that the trails are slippery and muddy. There were occasions when the downhill was too steep, so everyone had to sit down and slide or crawl slowly. Thankfully, Nashata’s Ultra Top has thumb holes so the end of the sleeves acted as finger-less gloves. My palms were protected from the rocks and thorns but unfortunately my fingers had minor scratches. But hey, it’s all part and parcel of trail runs. 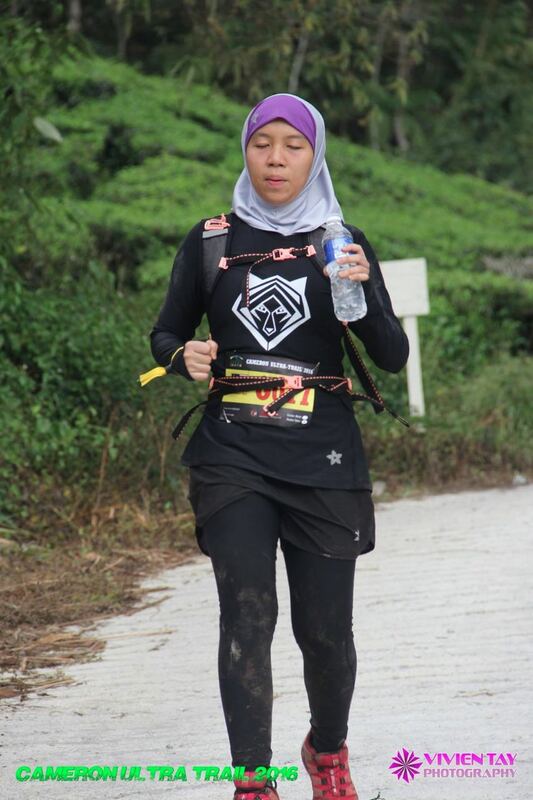 How I improvised Nashata’s thumb hole as finger-less gloves for trail runs. At least my palms were protected! 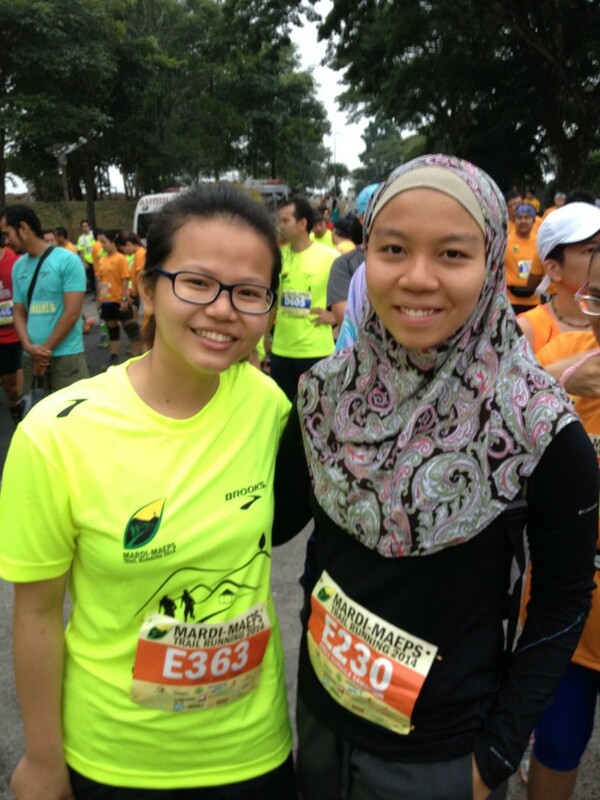 Shout out to Kak As, a random runner I met yesterday. Our pace matched each other’s so we kept company through out the run. The most noticable improvement made this year was the BYOB (Bring Your Own Bottle), No Cup policy at every water station. Styrofoam cups can be an eyesore, and contribute a significant amount of waste. 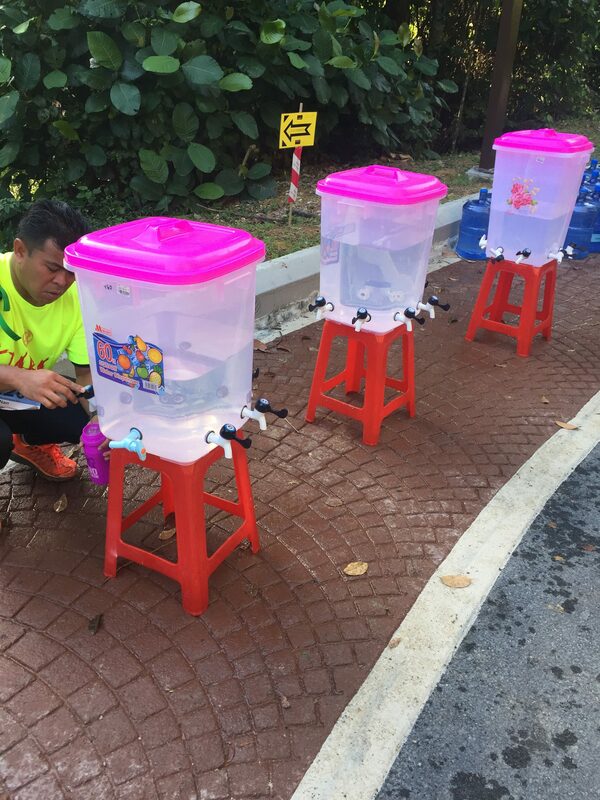 The organizers deserve a round of applause for keeping the trails clean, and I hope this concept can be implemented at every race that has multiple water stations. I had a bladder pack as well but a plastic bottle is handy for refilling purposes. 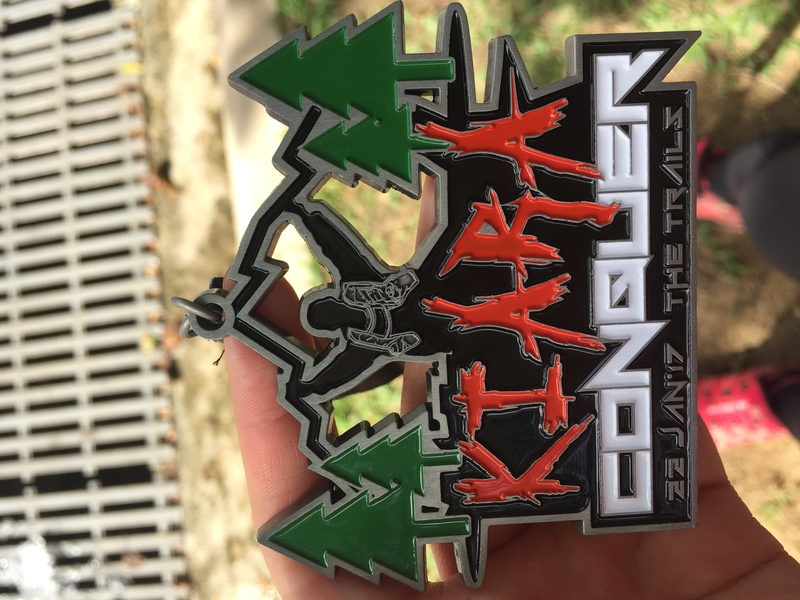 Overall, I rate the route of this event as easy to intermediate, as there are relatively minimal technicals compared to other trail runs that I have experienced. However I highly recommend some serious amount of lower body strength training if you are running in Mardi MAEPS for the first time to be able to tackle the technicals and hills. I think I will be back next year, and upgrade to the 18km category instead.